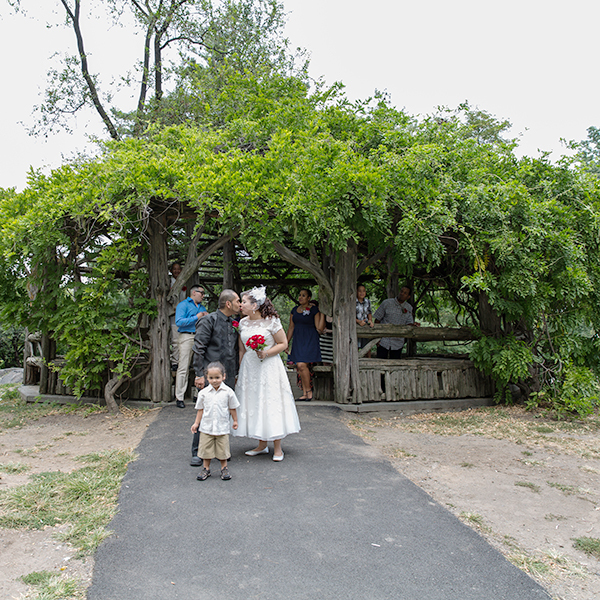 A pretty spot for a ceremony and pictures, with views of the pond, the bridge, and The Plaza Hotel. Enter from the east side of the park, near 62nd St. There is a small rock outcrop in front of the bridge that is great for ceremonies with Gapstow Bridge in the background. Ladies Pavilion is a metal gazebo on the west side of the park. Close to 75th St., you would enter the park from 77th St.
Bethesda Terrace is a huge area with many beautiful spots to choose from. 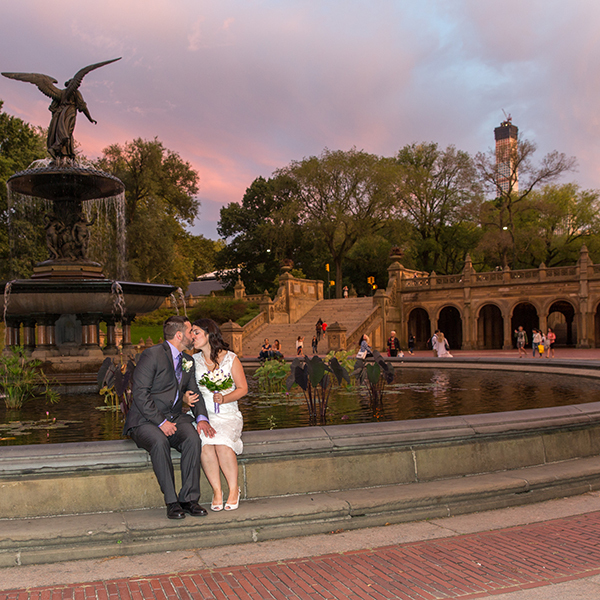 You have the lake with the boathouse in the background, the open terrace in front of Bethesda Fountain, and lastly you have the Minton Tile Arcade with the beautiful arches and ceiling tiles. 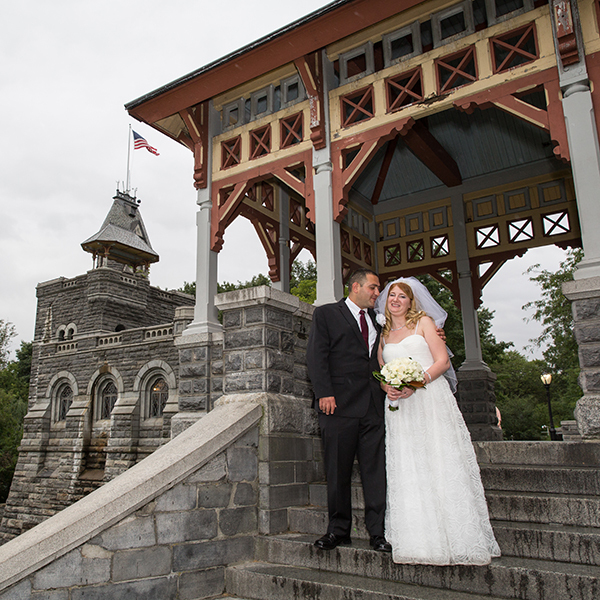 It is located in the center of the park, near 72nd St.
Belvedere Castle is in the center of the park, slightly west, near 79th St. It is close to Shakespeare Garden which is also a beautiful spot. You can not have a ceremony inside or on the roof of the castle. There are two covered areas next to the castle, which you can see the larger of the two in the above photo. 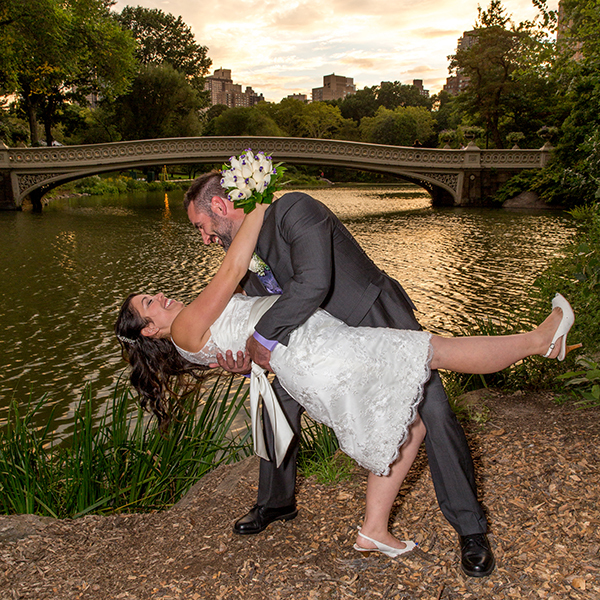 The beautiful Bow Bridge has been in many iconic movies and a nice background for a wedding ceremony. Near 73rd St. and close to Bethesda Terrace. Cop Cot is a very rustic open wooded structure. 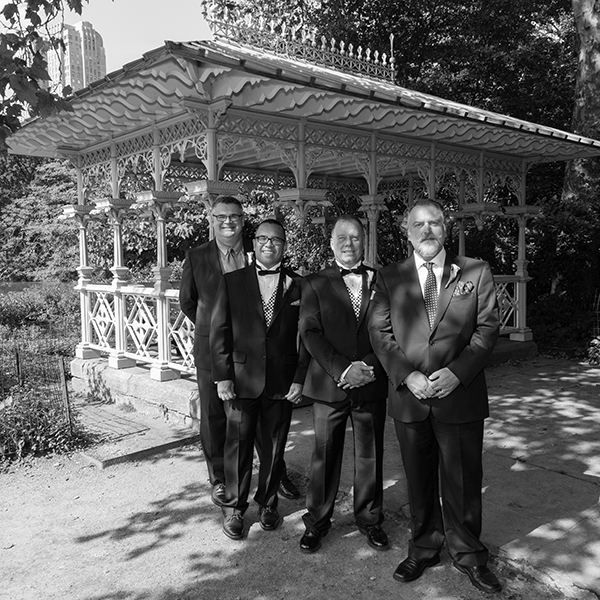 It is at the south end of the park, enter on 6th Avenue and Central Park South\59th St. If you cant get a permit, don’t worry, there are so many pretty places in the park.